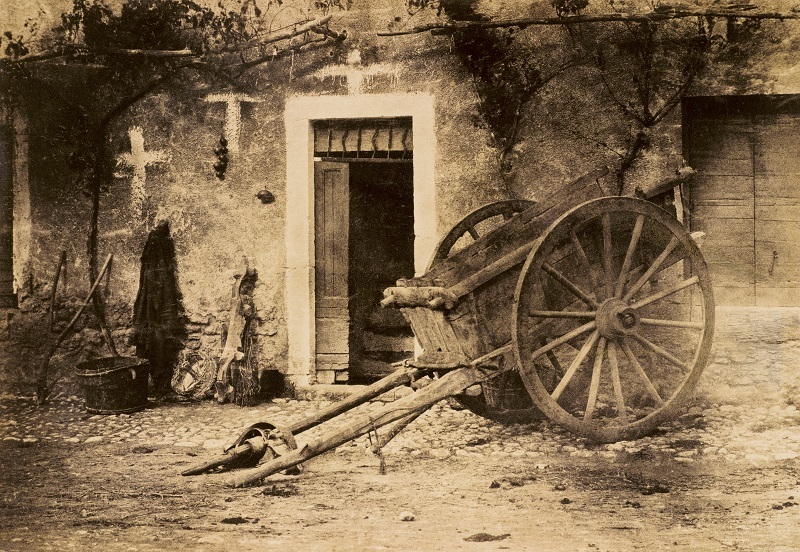 Paul Marès Ox Cart, Brittany, c.1857. Apparently a picturesque scene of bucolic tranquillity, this photography also reveals two white crosses painted on the cottage wall, a warning that the place was afflicted by the outbreak of some deadly disease. British photographer, William Henry Fox Talbot, invented the salt print, the earliest form of photographic negative. 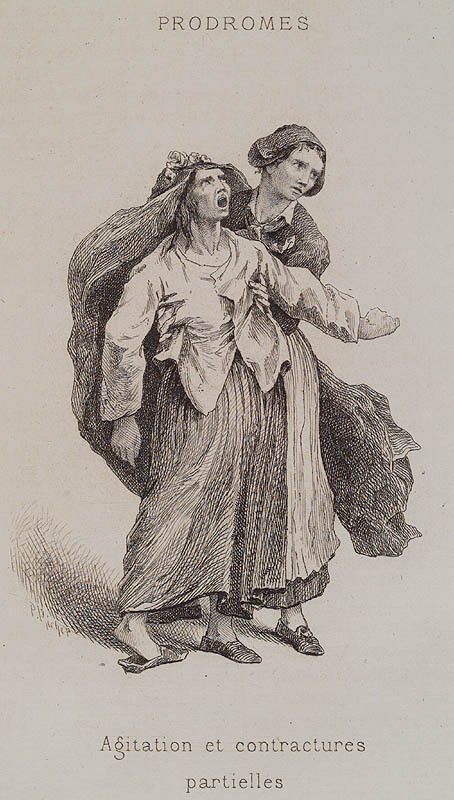 Salt and Silver is the first exhibition in Britain devoted to salter and paper prints, and includes around a hundred prints from several photographers, made between 1830 and 1860. Where: Tate Britain. Until 7 June. 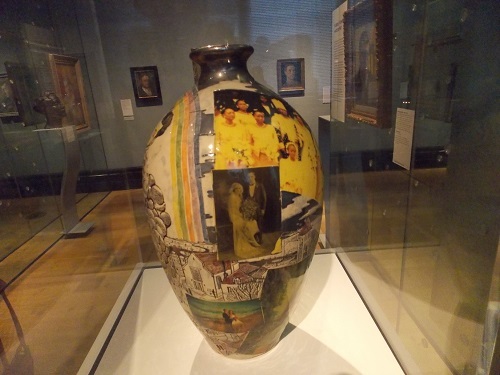 British artist Grayson Perry exhibited his work ‘Memory Jar’ recently at the National Portrait Gallery, a homage to an Alzheimer’s sufferer and his wife, Christopher and Veronica Devas from Dorset. Christopher was diagnosed with Alzheimer’s disease in 2008. Grayson spent three days filming them as part of a Channel Four documentary. He visited Christopher’s former place of work to understand better their memories and even spent a day sailing with the couple. 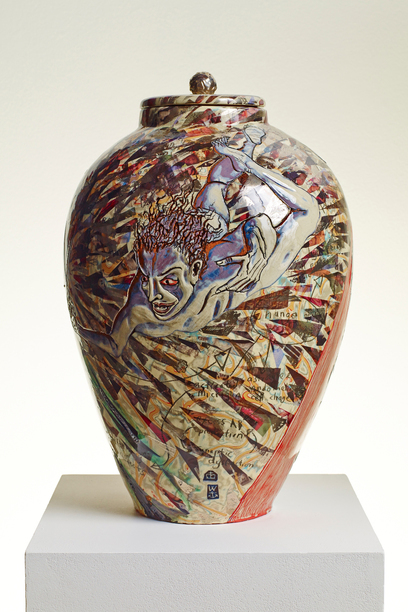 Grayson’s perceptions of the loss caused by the disease during this contact were expressed in his artwork, where their old family photos are shred by a demonic figure called Altzy. The documentary can be accessed in Channel Four website. 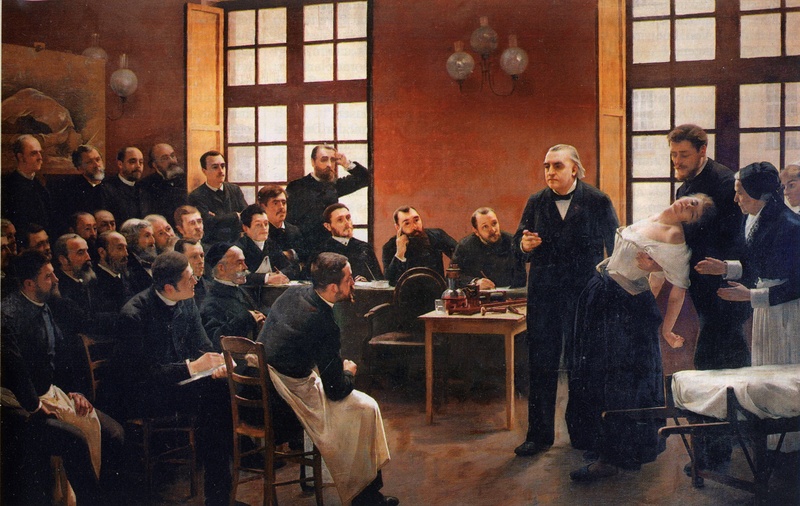 Une lecon clinique a la Salpetriere. Pierre Aristide Andre Brouillet. 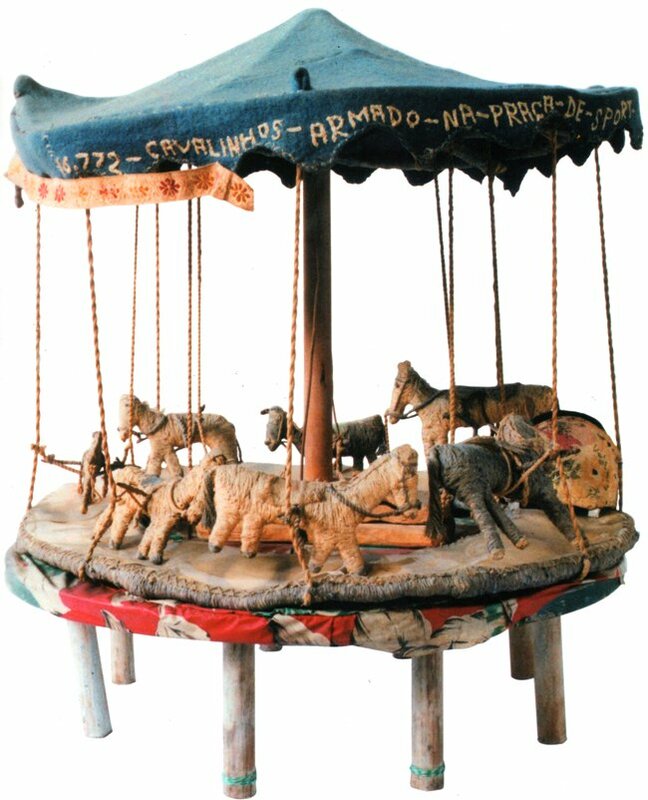 Arthur Bispo do Rosário (1909-1989) was born in Japaratuba, Sergipe, a small town in Brazilian North-East – a region known for its folk art and religious culture. He joined the navy in 1925, worked as a handyman and was also an amateur boxer. By the time he presented psychiatric symptoms (hallucinations) he was a domestic worker, living with a family in Botafogo, Rio de Janeiro. According to the history, Bispo do Rosário ‘entered a Rio monastery at 29 while conducting an imaginary army of angels and announced he had come to judge the living and the dead’. He was diagnosed with schizophrenia in 1938, and hospitalized for more than 50 years in a famous asylum in Rio, Colônia Juliano Moreira. Completely isolated from the art establishment, Bispo do Rosário’s creations were viewed by himself as a spiritual journey to salvation: the mission of his artwork was to reach god and transcendence, a strategy he found to deal with his delirium. 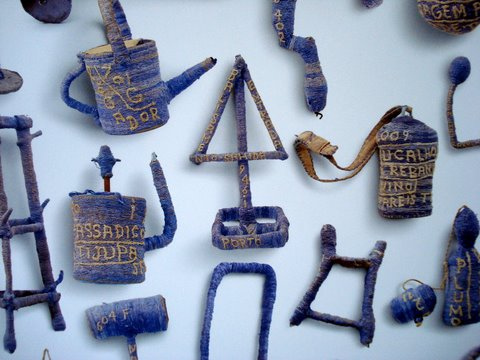 His ‘outsider’ art has long been celebrated for its imaginative approach to working with everyday, found materials in textiles and a variety of objects – he made use of all sort of discarded materials and hospital items in his work. His work became well known after a documentary made by psychoanalyst Hugo Denizart in 1982 at the request of the Brazilian Ministry of Health to investigate the condition at the hospital where Bispo do Rosário lived. During this process Denizaro was so impressed with Rosário that decided to change the focus of his investigation. 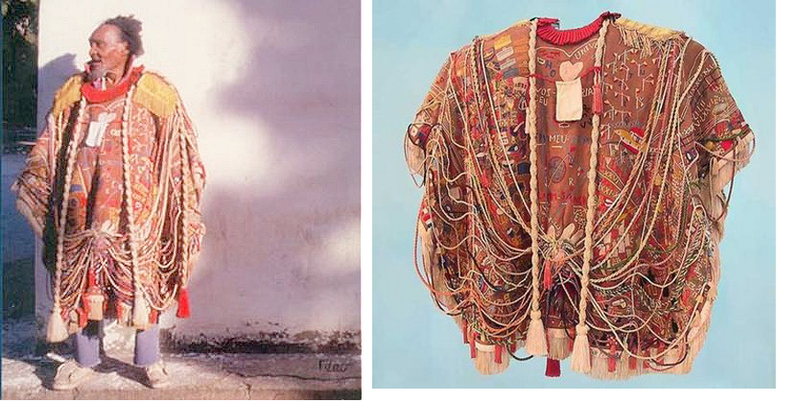 The documentary ‘Prisioner of passage’ (see excerpt below) and Bispo do Rosário’s artworks were exhibited in modern art museums and at the Bienal in Brazil, and later at the Venice Bienal and more recently (2012) at the V&A Museum in London. Giuseppe Maria Mitelli. Il Mondo e per lo più gabbia di matti (1684). The Cure of Folly (The Extraction of the Stone of Madness). 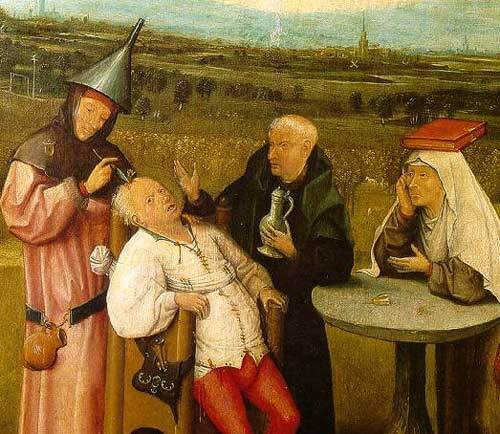 Hieronymous Bosch, c. 1475-1490. Museo del Prado, Madrid.